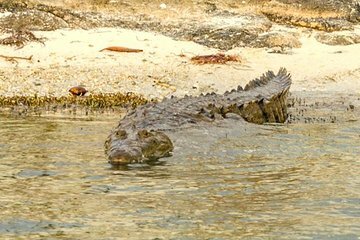 See crocodiles in the wild on this guided nighttime adventure around Cancun’s Nichupte Lagoon. Cruise through mangroves with a private guide on this small group tour with a maximum of 10 people. Enrich your experience by learning about this fascinating predator from a wildlife expert while watching it in its natural habitat. Pricing is per group and hotel pickup and drop-off is included.